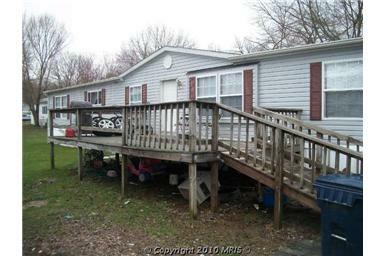 Well-kept 4 BR double-wide in Homestead Mobile Home Park awaits new owners. Monthly lot rent of $450 includes property taxes, water, sewer, trash removal, and snow removal. Split floor plan has master suite at one end with three other bedrooms at opposite end. Master bath includes jacuzzi tub and separate shower plus a huge walk-in closet. Wood-burning fireplace in the living room, spacious kitchen, formal dining room, laundry, and family room. Deceptively large, don't judge this one by the exterior view! Easy access to I-95, Rt 40, Rt 1, Aberdeen and Edgewood military areas, MARC Train service and Amtrak service. Schools, shopping, and medical services also available within ten minutes.